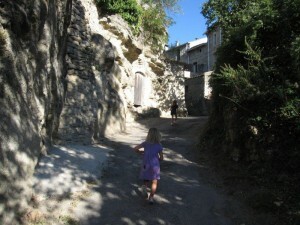 I was horrified when I first heard that restaurants in France don’t do takeout. One of the truly great amenities of life in California is that almost any restaurant will let you pick up food to go. We were completely unaware of this amazing phenomenon before we had kids. But take-out became a regular event at our house when the girls were little and it was hard to buy the food, let alone cook it. We formed a bad habit that won’t be easy to break. It turns out all is not lost. Our village in Provence has Ivan Des Pizza, the pizza truck. They drive to a different village each night, parking the truck in the village square and cooking the pizza in the truck. He comes to our village on Wednesday and parks about a five minute walk from our house. Ivan is the owner and chef. The name is a play on words. In French “Ivan” sounds like “il vend” which translates to “he sells”. 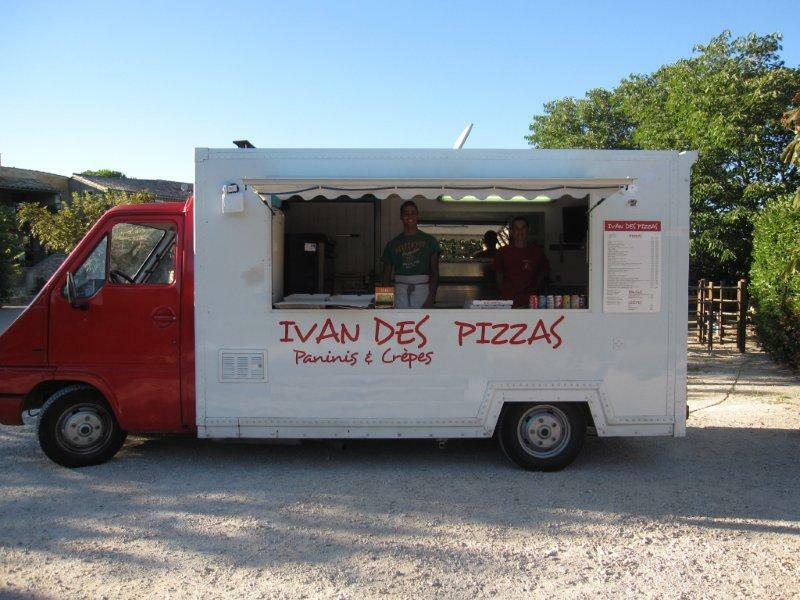 So when you say “Ivan des Pizza” in French it sounds like “He sells pizza”. Ivan is a character. He is young – probably 21 or 22 since he graduated from high school 3 years ago. He started his business earlier this year. The name was inspired from being teased about being called Ivan in school. So he turned that around and used that experience to make it work for him. Gotta love it! Ivan is happy to share his views. Of course he realized immediately that JM was Canadian (I do hope one day my French is good enough I can recognize the accent too!) but we told him we were living in California and the first thing he wanted to know was if Schwarzenegger was still governor. He’d seen him do a part in a recent Sylvester Stallone movie and assumed you couldn’t be governor AND act in a movie. We clarified that for him. He’s never been to the US or Canada, but he’d love to travel there one day. 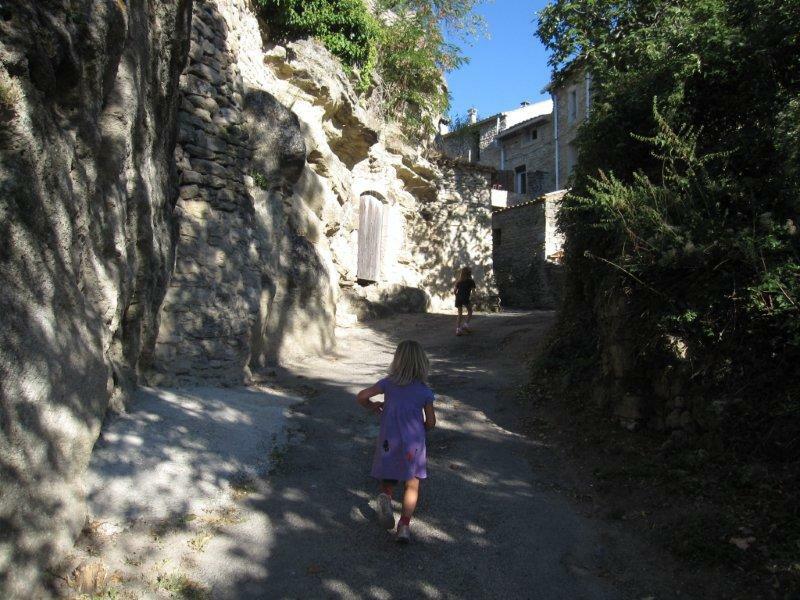 His thinks that the houses look very flimsy – which considering everything here is built out of rock and a lot of it has been around for centuries, is probably true. He was curious about how a Canadian family from California ended up in this particular village. Turns out he’s lived about 20 miles from here his whole life and but he didn’t know our village existed until he started his pizza business. We are looking forward to seeing a LOT more of Ivan and eating more of his excellent pizza acheter viagra 50 milligrams. UPDATE: Turns out we were mis-informed about takeout in France. While it is certainly not as common as it is in America, you can get plat à emporter from many of the more casual restaurants. Re take out. When we were in one of the villages in Normandy (mind you, I think it was a little bigger village), I remember having take out lunch there from a street vendor. They had a bunch there. Don’t remember the name of the town though. It was along the beach by the old army bunks and such. Amazing experience. You need to check out Normandy if you haven’t yet. Nice to have Ivan on your side. I suspect that after your time there he will be a long and trusted friend 🙂 So how does French pizza compare to American pizza and Italian pizza? Ivan’s pizza is very similar to Italian pizza – thin crust, may not have cheese, may not have tomato sauce. I was also puzzled by the “Schwarzenegger as governor AND actor in a movie” bit, even though I live in CA. Could you explain that to me, too? I thought I was paying his salary so that he run the state, not go off and moonlight in Hollywood. Maybe “clarify” was too strong a word. I don’t think we understand it either, but we told Monsieur Ivan that in America, it is possible. I am LOVING that picture of the “lovely walk to get pizza”. Gorgeous. My imagination desperately wants to follow you around the curve. In 2003 I spent a month studying Russian in St Petersburg, staying with a Russian friend of a friend. After hearing Russian from only either native speakers or people who were just learning, V arrived from the States, and when I heard him speaking Russian (his native language and the only language he spoke until 17, really) I could hear his American accent clearly – it was wild. I imagine if you did the same thing you’d notice how the quebequoise (sp?) accent is different from the provencal (sp? terms?) one. I am slowing starting to pick up some differences. Definitely there are some older people here who are just plain HARD to understand.